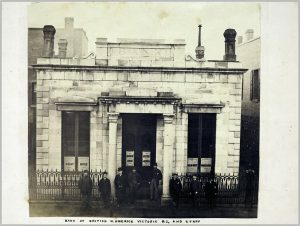 The British Columbia History Digitization Program (BCHDP) promotes increased access to British Columbia’s historical resources by providing matching funds to undertake digitization projects that will result in free online access to unique historical material from around the province. The BCHDP demonstrates the Learning Centre’s dedication to sharing knowledge and supporting education by making local information resources available to people throughout the province and beyond.  The program, launched by the Irving K. Barber Learning Centre in 2006, provides matching grants to support projects that make B.C. history freely available. In 2015 the program awarded more than $198,000 to 24 different community groups in B.C. Projects have included digitization of community newspapers, photographic collections and church and museum archives. In total, the BCHDP has awarded more than $1.6 million dollars since its inception. The BCHDP is now accepting submissions for the 2016 application round. Applicants can receive up to $15,000 in funds for their projects, and can submit for multi-year projects. The application submission deadline for 2017/2018 is Monday December 19, 2016. 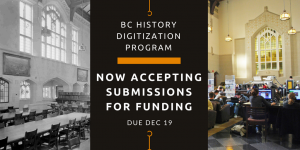 Completed applications (signed, scanned to pdf) will be accepted electronically via email at bc.historydigitization@ubc.ca. More information about the program and the application process is available on the BCHDP website. To view images of past projects, please visit the B.C. History Digitization Program website.